As a provider of Financial Market Infrastructure (FMI), we offer expert transaction settlement, asset servicing and collateral management, as well as a wide range of services for issuers. All asset types are covered including bonds, equities, funds and derivatives. Euroclear Bank, the leading International Central Securities Depository (ICSD), is your gateway to counterparties worldwide for post-trade services, covering more than 1 million securities. The Euroclear group’s national Central Securities Depositories (CSDs) for Belgium, Finland, France, Ireland, the Netherlands, Sweden and the United Kingdom serve local clients for local transactions. For detailed information about the specific services offered by the entities of the Euroclear group, visit our Services section. Euroclear Bank is the premier provider of settlement and related securities services for cross-border transactions involving domestic and international bonds, equities, derivatives and investment funds. We offer clients a single access point to post-trade services covering domestic securities from over 40 markets. Euroclear Bank is also a single-purpose settlement bank, authorised to provide helpful banking services to facilitate on-time settlement. Euroclear Bank is strictly risk averse. With AA+ and AA ratings by Fitch Ratings and Standard & Poor’s, respectively, Euroclear Bank ranks among the highest rated companies within the financial industry - for over a decade. Transaction settlement – we provide settlement services for transactions in bonds, equities and funds. These include over-the-counter as well as certain stock exchange transactions, free of payment or against payment in over 50 settlement currencies. Asset servicing – our asset servicing covers all steps in the life cycle of a security, from the distribution of a new issue to timely and accurate custody-related services. Collateral management – our global Collateral Highway helps you source and mobilise collateral domestically and across borders. Third-party securities lending services can supplement your portfolio returns. Dedicated fund service – our FundSettle International service supports both the buy and sell sides of fund distribution, providing automated order routing, settlement and asset servicing. Our national CSDs covering Belgium, Finland, France, Ireland, the Netherlands, Sweden and the United Kingdom serve local clients for local transactions. Each CSD provides settlement, custody, collateral management and issuer services tailored to the needs of their clients and particular market environment. More than 65% of European blue-chip equities and 50% of European domestic debt outstanding are covered by Euroclear's CSDs. ESES – Euroclear Belgium, Euroclear France and Euroclear Nederland are the only group of CSDs in the world operating with a single settlement platform and harmonised rules and practices. The Euroclear Settlement of Euronext-zone Securities (ESES) platform makes cross-border settlement as low-cost and straightforward as domestic transactions. Euroclear UK & Ireland – the CSD of the UK, Ireland, Jersey, Guernsey and the Isle of Man operates the CREST settlement system. It also operates the EMX Message System, Europe's leading investment fund messaging platform. In addition to a wide range of domestic securities, Euroclear UK & Ireland now provides automated settlement and related services for UK fund transactions, significantly reducing the costs and risks associated with manual processing. Euroclear Finland and Euroclear Sweden – core to the Finnish and Swedish capital markets, these CSDs keep the register of almost all local shares and debt securities. Comprehensive settlement, custody and issuer services are fundamental to their markets. 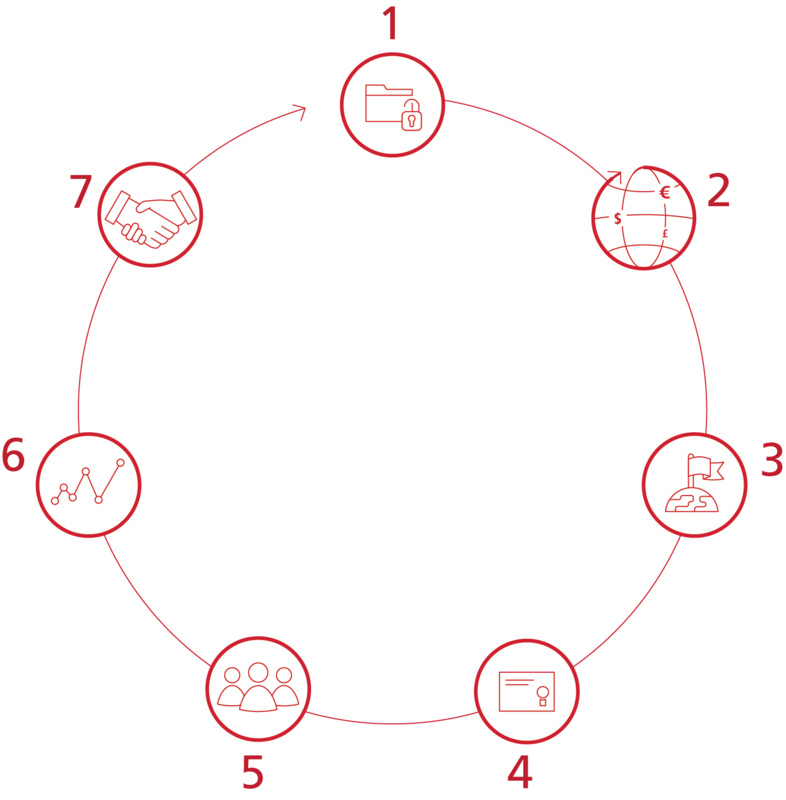 Our business model enables Euroclear to deliver its corporate commitments to a broad range of stakeholders. We aim to create long-term value as a trusted cornerstone of the capital markets by providing robust and relevant services as a financial market infrastructure. 7. ...and nurture trusted relationships and long-term value for all our stakeholders.